HURRY IN TO TAKE A LOOK AT THIS SHARP LOOKING . 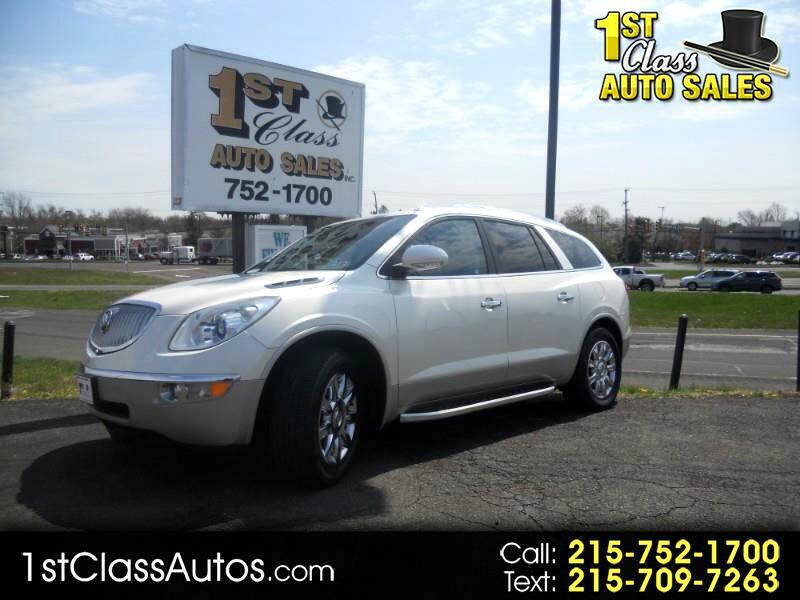 . . .LOADED UP . . . . 7 PASS . . . . ALL WHEEL DRIVE . . .ENCLAVE CXL !!! WITH FULL PANORAMIC POWER SUN-MOON ROOF FRONT & REAR / / / / HEATED-POWER LEATHER SEATS / / / / PRIVACY GLASS / / / ROOF RACK / / / / 6 DISC CD PLAYER / / / / REAR DVD PLAYER / / / CHROME MAG WHEELS / / / / ALL THIS WITH GOOD MILES AND A LOW PAYMENT !! THIS IS A MUST LOOK AT AND DRIVE IF YOUR IN THE MARKET FOR A 7 PASS AWD SUV !!! HURRY IN !! !